The foundation conducts extensive Communication, Education and Public Awareness (CEPA) campaigns aimed at acceptance of people on crocodile conservation and wetland management. It conducts lectures and puppet shows among school children from elementary and high school levels about the importance of Philippine crocodile conservation, wetland management and the environment in general. Sanctuary visits are organized for college students to give them chance to see crocodiles in their natural habitat. Theater shows about the history and the need to conserve the corocildes are being shown on special occasions like barangay fiestas and school foundations. Posters, calendars, storybooks, manuals and newsletters are produced and distributed to government offices, schools and community members living near the crocodile sanctuary areas. The campaign was reported1 to have succeeded in raising awareness on, and transforming attitudes towards in-situ Philippine crocodile conservation: most people living in close proximity to crocodiles now know that the species is legally protected and support in-situ conservation. As a result crocodiles are no longer purposively killed. 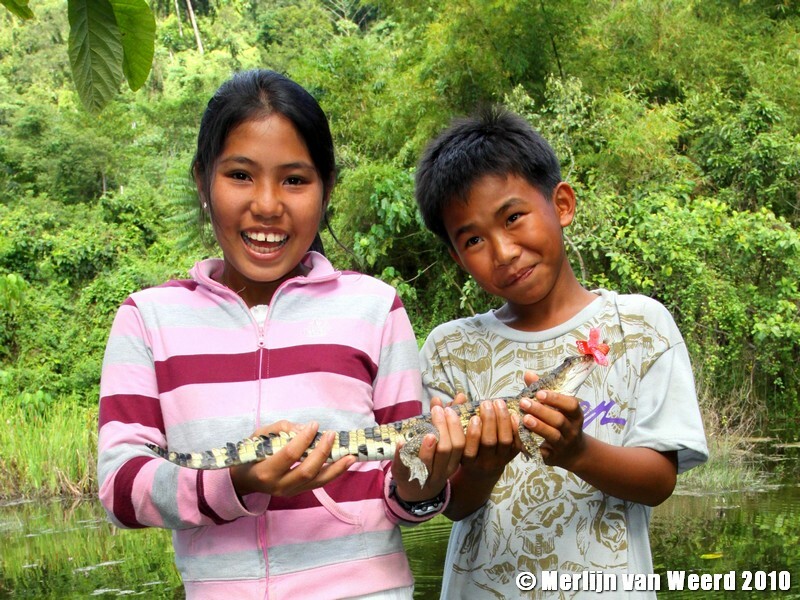 School Children from San Isidro Elementary School holding the crocodile they named Archie before it was released back to the wild on January 31, 2010 after being reared for 18 months in the Municipal Philippine Crocodile Rearing Station Station in Minanga, San Mariano, Isabela.